A potent facial elixir, our award-winning Super Serum stars a nutrient-rich blend of tropical oils and divinely scented dawn blooming jasmine to leave your skin incredibly healthy, smooth and luminous. Camellia seed oil helps to enhance skin’s elasticity and calm inflammations. Marula oil creates a protective barrier and locks in moisture keeping skin plump. Watermelon seed oil is highly detoxifying and helps to dissolve excess sebum. Rich in essential fatty acids and Vitamin C, Passion fruit oil supports anti-ageing and boosts luminescence. Jojoba oil tackles dry skin and balances oily complexions and Jasmine flower is renowned for its regenerative capabilities while its delicate fragrance restores a sense of calm. Silky, and almost weightless, it absorbs quickly to reveal a hydrated, balanced and nourished complexion. I love this serum. It smells so nice! I keep smelling my hands after I apply it ^^ It leaves my skin feeling soft and nourished. I use it pretty much everyday after cleansing my face and it’s one of my new favorites. I’m recommending it to everyone! Amazing product. It’s perfect for my dry skin. I use daily like serum and sometimes mix with foundation and I love it. This oil is the best oil I have ever used! I have tried so many products in the past and none of them have given me the results like this serum did. Leaving my skin feeling very nourished, vibrant, radiant etc. I visibly noticed the difference since using the term and now it is part of my every day routine! I absolutely LOVE the Tropical Super Serum. I have very sensitive skin and it’s works wonders. I use day and night onto damp skin, and my skin is so much softer and the smell is simply divine! I adore anything with jasmine in, but normally struggle with sensitivity. 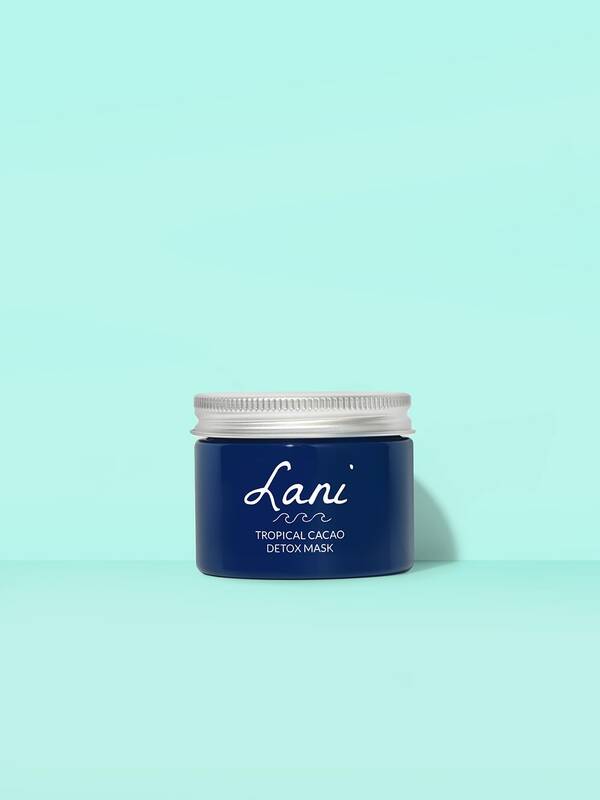 I am looking forward to trying some other Lani products. I have been purchasing it for the sixth time now and it completely change my life.I have really dry “thirsty” skin especially during winter time and I had to use very fat and oily moisturizers that always left my skin greasy and not good looking.It’s hard to find a good oil/cream for my type of skin and at first I was skeptical to buy it because I’ve read that it works mostly for acne prone/combination/oily type of skin.I am so grateful that I gave it a try.This oil is absorbing so fast,and it leaves the skin perfectly hydrated and soft.It also can be used in combination with masks and other creams since it balancing the sebum.The smell is so good, subtle and delicate and the fact that it’s vegan,cruelty free and 100% natural is the goal I’ve reached in searching for eco friendly,affordable and clean skin care after long time. I’ve always been afraid of using oils on my skin as I’ve struggled with oily skin and breakouts. I gave this a try and I absolutely love it! Some of my blackheads are gone and the red marks and spots are less visible. My skin feels soft and glowing! I will definitely continue using this! Absolutely incredible product. I use it for nearly a month now and my skin has cleared up so much – it’s amazing! Would highly recommend the serum in combination with the cocoa mask. This serum is amazing. I had oily skin and was afraid to use even more oily product on my face but it actually helped my skin a lot. It also helped the redness on my face to go away since it deeply moisturizes the skin. I really do recommend trying it. It’s called Super serum for a reason because it is just that! My skin feels so soft and evened out with a dewy healthy glow! 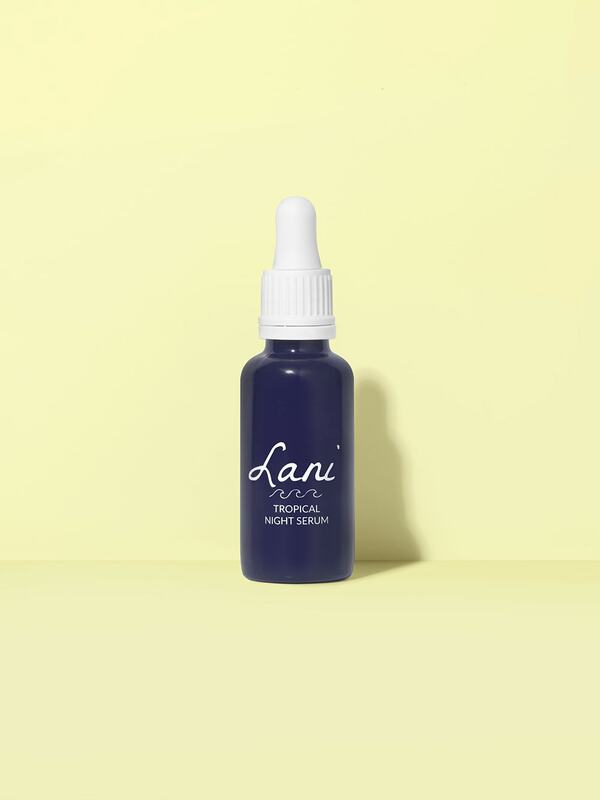 I use 5 drops by day under my moisturiser and/or makeup and at night I apply 5 drops underneath the night serum. Such a wonderful product, my skin feels and looks amazing and the smell is divine! I wasn’t sure what to expect from an oil, but it’s not at all greasy like many other oils I’ve used. I would recommend everyone to buy this straight away! This serum is a miracle !!!! My all time favorite!! I have used it for just a month and my skin looks much better, i don’t have any spots anymore, sebum starts to disappear, my skin feels hydrated it’s amazing!!! Plus, my skin looks glowy it’s so nice! I have never loved my skin as much as I do since I started this tropical super serum !! I use it everyday twice a day! Amazing product. My skin felt soft and hydrated! I didn’t really know what to expect from this reasonably priced all natural oil – but after just 4 days of use, it became clear that my skin LOVES it. Everything settled down, skin felt super soft, moist and hydrated, and it worked brilliantly during long festivals, summer holidays, and now, well into a cold and blustery autumn. I use it morning and night, and love mixing it with the cacao face mask too, for a nourishing, deep cleansing, brightening treatment. It is my all time favourite face oil, and I am already on my 3rd bottle! I have combination skin and absolutely love this serum!! I put it on my face morning and most nights and the next day my skin looks glowy and soft. I live in Chicago where it’s cold now and don’t need a moisturizer after I use this. When I get hormonal acne it always looks better after wearing the oil overnight. I was using a way more expensive serum for 4 years and will no longer purchase it after using this serum! Buy it! It’s an amazing product with clean ingredients that will make your skin look better than before. Amazing product! Would highly recommend! It sounds ridiculous but this serum has been almost life-changing for me. It has honestly transformed my skin so much, after trying so many other products and having no luck at all, I tried this on recomendation and the change even with the first month was incredible. I have been using it daily for more than a year now as part of my daily routine. It reduced the red, sore looking areas and gave my skin new life. My skin was very very dry and flaky and it just feels like it nourishes so deeply that my skin soaks it up and it breathes new life in and has made me feel more confident. I just can’t thank you enough. I am your biggest fan and am now trying all of the other products, although I am sure none will beat this for me as it has been such a saviour it means so much to me. Can I give this 6 stars? 10? 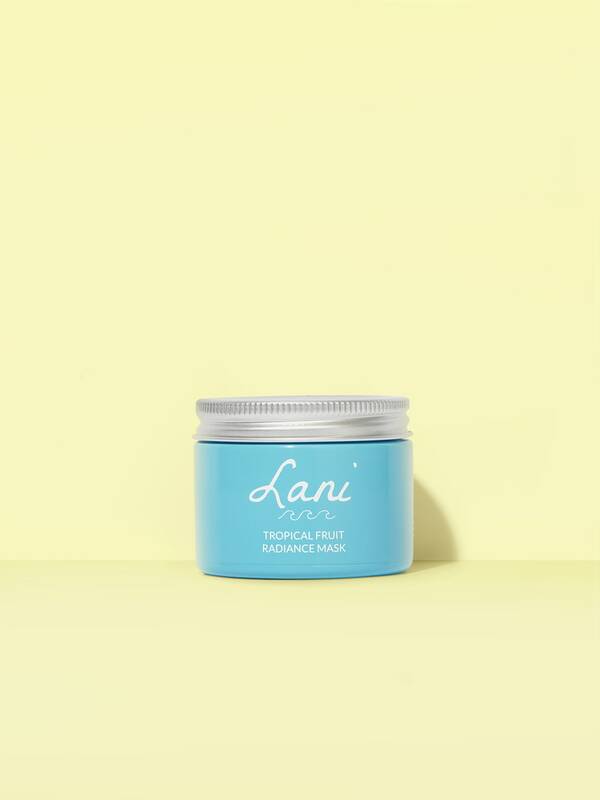 The Tropical Super Serum was the product that first piqued my interest in Lani. I had not seen an ingredient list like this, and was very curious! My skin is generally dry, sensitive and acne prone, aka a nightmare when it comes to finding adequate hydration. This serum knocked it out of the park! The texture is a bit thicker, almost “cushiony” like silicone, but it sinks into the skin quickly and leaves skin feeling plump and hydrated (but not at all greasy). This keeps my skin supple and hydrated without exacerbating congestion or blemishes. It is also a GORGEOUS option for sheering out foundation. I am currently half-way through my second bottle and I am BEYOND in love. The fact that it is cruelty free and vegan is just icing on the cake. I love this formula and would highly recommend it to any skin type. I have a sensitive acne prone skin.. And yes, that’s an oil! 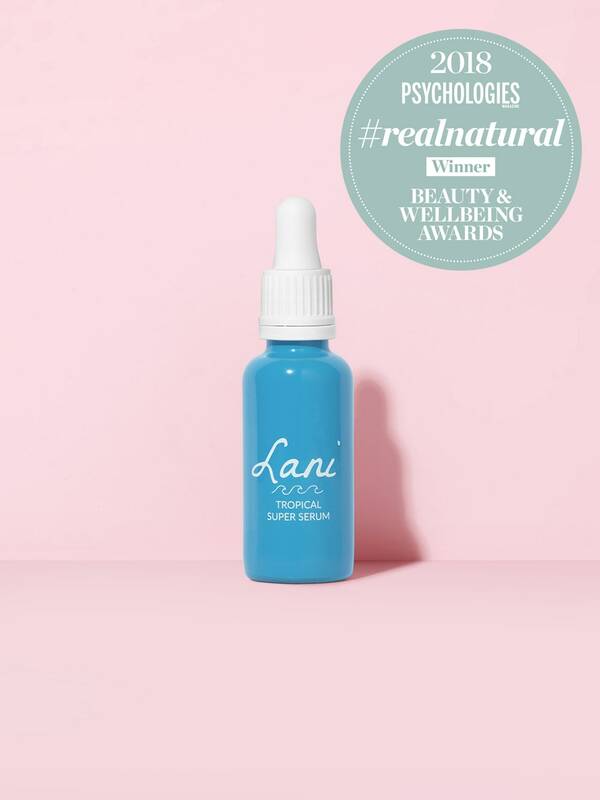 i love this beautiful lightweight oil/serum which nourish, hydrate and plump my skin! It’s perfect for ALL skin and problems type! Yes.. ALL! When I use this oil my skin is plumped, doesn’t clog my pores at all and it doesn’t make my skin greasy! And the scent bring me instantly into a beautiful tropical paradise! Absorb super duper quickly and helps my skin to fight against pimples! My mom loves this oil too! She says it makes her skin plumped, healthy and perfectly moisturized all day long! PURE LOVE! This oil is one of the best products I have been using so far! You can use for dry, normal or even oily skin. The mix of the oils were carefully selected and you can appreciate it when you use it. I have been using it for 6 month and just with 4 drops you have enough to use it on all your face. i could notice more luminosity and radiance, some of the dark spots has gone and other has been reduce and more moisturised skin. One of my favourite uses is to mix it with my fundation to have a really natural glow and no make up makeup finish.